- Date: 09/2016, Series A: $500 k (post valuation: undisclosed amount). There are 16 million criminal cases filed in the United States every year - our service matches people who need a Criminal Defense Attorney (CDA) with one who is available in real time. Uber is successful because it matches people who need a ride now with drivers who are available now. CriminalLaw.com does the same for people who need help navigating the legal system and for the attorneys seeking to help them. On the one hand, consumers have a multitude of questions with no one site providing all the answers in an easy to find format. Not knowing what to look for requires multiple searches to Attorney sites, Bail sites, Jails and other resources. Navigating the criminal justice system is daunting and intimidating. Individuals want information to be palatable and also want choices. On the other hand, finding a criminal defense attorney to walk us through the process is no walk in the park. Since the vast majority of criminal defense attorneys are solo practitioners, they are rarely at their desk waiting to take a call from a potential client. If a criminal defense attorney does not immediately answer a call, the result is that the bulk of the marketing efforts he/she has done to generate quality calls are wasted. When people are entangled in the legal system, they want answers now. They don't tend to leave messages or wait for an email to be answered. We fill this void both for the consumer looking for information, answers and legal representation and the attorneys looking for new clients. Matching criminal defnese attorneys with those who need them when they need them. 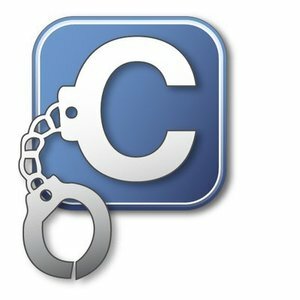 CriminalLaw.com also has several tools so the general public can learn more about their specific situation before the contact an attorney. 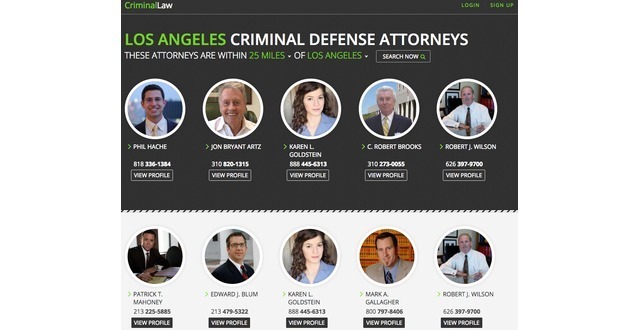 CriminalLaw.com is focused on the criminal niche within the legal segment. There are several companies that target the entire legal community. FindLaw, AVVO and Thumbtack all have platforms to connect potential clients with lawyers. There are no major competitors that focus exclusively on the criminal defense market. Our focus allows us to deliver a superior service to both the lawyers and potential clients they serve.